You've finished setting up your new home theater system and big-screen TV. You turn everything on and...nothing happens. Most consumers, including us "pros", have moments like this. However, this doesn't mean that it is time pull out the cell phone and dial tech support or a repairman just yet. Before you grab the phone, there are some practical things you can do, and knowledge you can arm yourself with, that may get your system running, or determine what the actual problem is that needs repair. Check all power connections. If you have connected everything into a surge protector, make sure the surge protector itself is turned on and plugged into the wall. Believe it or not, this is one of the most common reasons that home theater systems and/or televisions don't power up the first time. Surge protectors are designed to stop fluctuations in electricity which could be caused by electrical strikes or sudden disconnects and reconnects. Your surge protector should be changed every few years to ensure it still works properly. When choosing a new one, be sure to select a surge protector and not a power strip. Make sure your antenna, Cable, or Satellite box is connected correctly to your Television. If you have a standard Cable or Satellite box, make sure it is connected to the antenna/cable connection on your TV and that your TV is tuned to channel 3 or 4 (depending on area). If you have a High Definition Cable or Satellite box and an HDTV, make sure you have the box connected to your TV via HDMI, DVI, or Component Video Connections. In addition, if have your HD Cable or Satellite video and audio outputs routed through a Home Theater Receiver to the TV, make sure your Home Theater Receiver is turned on and set to the appropriate input so that HD-Cable or Satellite signal is routed to the TV. Another factor could be watching analog signals on an HDTV. First, check to see if the color is bad across all input sources. If so, make sure you have your TV' color settings set to your preferences. If you don't like fiddling around with the individual color and picture setting controls, most TVs offer up a series of presets that may have titles, such as Vivid, Cinema, Living Room, Day, Night, etc... that may work your specific needs. Also, once you select one of the preset options, you can also tweak each one slightly to improve color, brightness, contrast, etc... further. However, if everything looks good except, say, your DVD player, and it is connected to your TV via Component Video connections (which is composed of three cables - Red, Green, and Blue), make sure they are matched up correctly with the Component (Red, Green, and Blue) connections on your TV. This is a common mistake as it is sometimes hard to distinguish the Green and Blue connectors if the lighting in the connection area is dim. You have a DVD, Blu-ray Disc player, or another component with HDMI connected to an HDMI-equipped TV, but when you turn them on, you don't get an image on the screen. This occurs sometimes because the source and the TV are not communicating. A successful HDMI connection requires that the source component and TV be able to recognize each other. This is referred to as the "HDMI handshake". If the "handshake" doesn't work, the HDCP (High-Bandwith Copy-Protection) encryption that is embedded in the HDMI signal is not being recognized properly by one, or more, of the connected components. Sometimes, when two or more HDMI components are connected in a chain (such as media streamer or Blu-ray Disc player through an HDMI-enabled home theater receiver (or HDMI switcher) and then to the TV, this can cause an interruption in the HDCP encryption signal. The solution is usually figuring out a sequential turn-on procedure for your setup - in other words, does the sequence work best when you turn the TV on first, then the receiver or switcher, and then the source device - or vice versa, or something in-between? If this solution does not work consistently - check for any announced firmware updates addressing "HDMI handshake" issues with your components. The first thing to check: Is the DVD, TV program, or another programming source in surround sound? Next, check all speaker connections and make sure they are correct, according to the channel and polarity. The next thing to check is how you have the Blu-ray Disc/DVD player, Cable, or Satellite box connected to your Home Theater Receiver. To access Dolby Digital/DTS surround sound, you need to have either HDMI, Digital Optical, Digital Coaxial, or 5.1 channel analog connection going from the source component to the Home Theater Receiver. Only these connections are able to transfer a Dolby Digital or DTS-encoded soundtrack. It is also important to point out that the Dolby TrueHD/Atmos, and DTS-HD Master Audio/DTS:X surround sound formats, which are available on many Blu-ray Disc movies, can only be transferred via HDMI connection. If you have RCA analog stereo cables connected from a DVD player, or another source component, connected to a Home Theater Receiver, the only way to access surround sound is with Dolby Prologic II, IIx, or DTS Neo:6 settings, if available. These processing schemes extract surround sound from any two-channel audio source, including CDs, Cassette Tape, and Vinyl Records. When using this method with Blu-ray Discs/DVDs, it isn't the same as a true Dolby Digital/DTS signal you would get from digital or 5.1 channel analog audio connections, but it is more immersive than a two-channel result. Another thing to remember is that even with true surround sound material, surround sound is not present at all times. During periods of mainly dialog, most sound comes from the center speaker only, with ambient sounds coming from the rest of the speakers. As the action on the screen gets more complicated, such as explosions, crowds, etc... or when the music soundtrack becomes more a part of the film, you will notice more sound coming from the side and/or rear speakers. Also, most Home Theater Receivers offer automatic speaker setup programs to balance the sound coming from your speakers. Some of the systems include MCACC (Pioneer), YPAO (Yamaha), Audyssey (Used by several brands), AccuEQ Room Calibration (Onkyo)), Digital Cinema Auto Calibration (Sony), Anthem Room Correction (Anthem AV). Although there are some variations how these systems operate, they all make use of a specially provided microphone that is placed in the listening position and also plugs into the receiver. The receiver then generates test tones that are sent to each speaker that are, in turn, sent back to the receiver through the microphone. The receiver analyzes the test tones and can set speaker distance, speaker size, and speaker channel level in relation to the listening position. In addition to the above automatic speaker setup systems, you can always opt using the receiver's manual speaker setup menu. Here are some reference articles that can aid in manually setting up correct speaker balance: How Do I Position My Loudspeakers and Subwoofer For My Home Theater System? and Correcting Low Center Channel Dialog. If something still doesn't sound right, you may even have a bad loudspeaker that could be causing the problem. There could be several reasons for this. One reason is that some DVD players, especially ones made before the year 2000, have difficulty playing back recordable DVDs. If you are having trouble playing a homemade DVD, check the disc the recording was made on, and, if it is a format other than DVD-R, this could be the culprit, and recordable DVD formats, such as DVD+R+RW, DVD-RW, or dual layered (DL) recordable DVDs have varying degrees of compatibility with DVD players. However, if you also have trouble playing DVD-Rs, it could even be the brand of blank DVD-R used to make the DVD. There is no guarantee that a specific homemade DVD will play on all DVD players, but DVD-R's should play on most of them. Another reason a DVD might not play at all is that it may be the wrong region or made in the wrong video system. Another factor that contributes to DVD skipping or freezing is the playing of rented DVDs. When you rent a DVD, you don't know how it has been handled and it could be cracked or be full of greasy fingerprints that may cause some DVD or Blu-ray disc players to misread the DVD. If you have a DVD recorder or DVD Recorder/VCR combo, just as with a VCR, as long as you are not using a Cable TV or Satellite Box, you may to be to watch one program on your TV, while recording another on another, provided your recorder has a compatible built-in digital tuner. However, the reason you are unable to do this when using a cable or satellite box is that most cable and satellite boxes can only download one channel at a time through a single cable feed. In other words, the cable and satellite box determines what channel is sent down the rest of the path your VCR, DVD recorder, or Television. If your DVD recorder does not have a built-in tuner, there is only one input option, via AV connection (yellow, red, white), which can only receive one video signal at a time - so if your external tuner, cable, or satellite box is tuned to a specific channel, that is the only channel can be feed to the DVD recorder via AV connections. With renewed interest in vinyl records, many are not only dusting off their old records but are attempting to reconnect their old turntables to their new home theater systems. One issue to contend with is that many newer Home Theater Receivers do not have dedicated phono turntable inputs. As a result, many consumers are trying to connect their turntables into the receiver's AUX or other unused input. This does not work due to the fact that the output voltage and impedance of the turntable cartridge are different than the audio outputs of CD players, VCRs, DVD players, etc... as well as the requirement of the turntable for a ground connection to the Receiver. If your Home Theater Receiver does not have a dedicated phono turntable input, then you need to purchase an external Phono Preamp or a turntable that has a phono preamp built-in, and many new turntables not only provide built-in phono preamps, but also USB ports that allow connection to a PC or laptop for converting analog vinyl records to CDs or for flash/hard drive storage. However, if you need a phono preamp check out some listings on Amazon.com. It's also a good idea to change the cartridge or stylus if your turntable has been in storage for a while. If the cartridge or stylus is worn, it could cause the music to sound distorted. Of course, another option is to purchase a new turntable that may already have a phono preamp built-in - Check out offerings on Amazon.com. This is usually a matter of attaching better antennas to the FM and AM antenna connections on your Home Theater Receiver. For FM, you can use the same type of rabbit ears or outdoor antenna used for analog or digital/HDTV television reception. The reason for this is that the FM radio frequencies actually lie between the old analog television channels 6 and 7 if you reside in North America. Wisconsin Public Radio offers an excellent resource for checking and improving radio reception. Internet streaming has definitely become a big part of the home theater experience, in terms on how we actually access content. Although most home theater enthusiasts pre-physical media (CDs, DVDs, Blu-ray Discs), many are definitely attracted to the convenience of going online and simply downloading music and movies. However, while there are a growing number of TVs, media streamer, and home theater receivers that provide built-in Wifi to make access to music, movies, and TV programming easier, depending on capabilities of your wireless router, as well as the distance of your Wifi-enabled TV, media streamer, or home theater, is from your router, you Wifi signal may be unstable, causing signal interruptions, as well as decreased streaming capability. In such cases, check your TV, media streamer, or home theater receiver for an Ethernet connection. This option, although requiring a less convenient (and unsightly) long cable run, the signal is more stable, which is especially important for streaming video content. If switching from Wifi to Ethernet doesn't solve the problem - another important thing to check is your actual Broadband speed. The reason that this is important is that even if you have no difficulty streaming music, the broadband speed required to stream video needs to be faster. This may require a call your ISP (Internet Service Provider) to see if you can access the speeds necessary to stream a stable video signal. In setting up any home theater system, things can end up being connected improperly due to both inadvertent oversight or lack of knowledge. This can result in thinking that there is something wrong with the system's components. However, many of the most common problems, such as the ones illustrated in this article, you will run into can be easily remedied, once a closer look is taken, especially when reading the user manuals before setting everything up. Make sure everything is connected according to the correct signal path. Make sure you have your power cords plugged in (do this after everything else is connected). Make sure that everything powers on. Make sure that you have gone through any required setup procedures. This may be via onboard or remote control, and may also be done in conjunction with an onscreen menu system. With HDMI, note any power on sequence between components that works or doesn't work. Make sure that if you want to view or listen to a source, that you select the correct input on your TV and/or home theater receiver. Also, if you don't hear any sound, make sure that you have your volume controls set high enough to hear the sound, or that you don't have a MUTE function turned on. For DVD players, make sure you are playing a compatible DVD or CD disc. You cannot play Blu-ray Discs on DVD players, but you should be able to play DVDs on a Blu-ray Disc player. Standard music CDs should be playable on both DVD and Blu-ray Disc players. By the same token, 4K Ultra HD Blu-ray Discs will not play in either a Blu-ray or DVD player, but Ultra HD Blu-ray Disc players can play Blu-ray Discs, DVDs, and CDs. Even when taking the time to do everything correctly, it is not unusual, especially in a complex setup, that you may still run into a problem that you can't seem to solve. You have done everything you can - you've connected it all, you set the sound levels, you have the right size TV, used good cables - but it still isn't right. The sound is terrible, the TV looks bad. When this happens, instead of spending more time and money, or returning it all, consider calling a professional installer to assess the situation. It is possible that, indeed, something may be defective in one of your components. 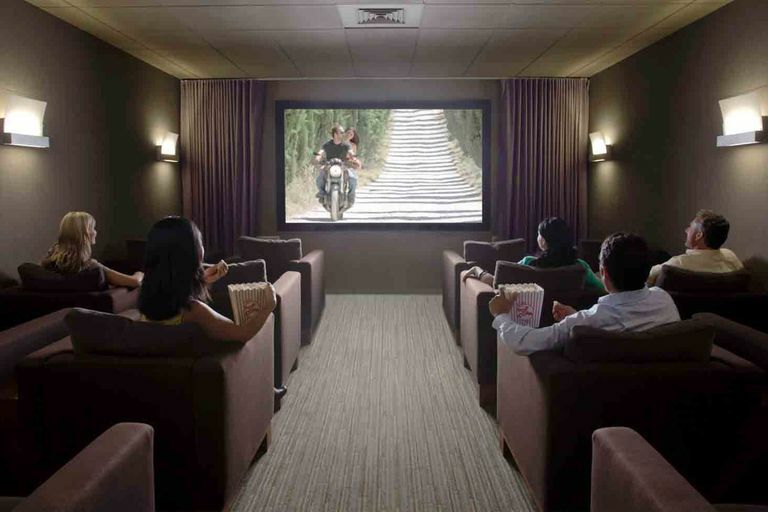 To find out for sure, you might have to swallow your pride and pay for a house call, but the investment can salvage a home theater disaster and turn it into home theater gold.